Bitter~Sweet ™: Changes . 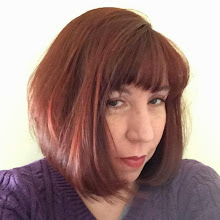 . .
I’m excited to be participating in Joslin’s National Diabetes Month Blog Project, along with a great bunch of d-bloggers. We have been given four topics to post about and we will share our thoughts on each week’s topic on our blogs. Aside from raising awareness about life with diabetes, we are also pitching in to try to raise some funds for Joslin’s High Hope’s Fund. You’ll see a link at the end of this post to their fundraising page, if you’d like to donate. This week’s topic is: Changes: What were the biggest changes you went through after diagnosis, and what were (if any) small things you didn’t realize would change? When I was diagnosed with Type 1 at age 11, it wasn’t only my life that changed. My parent’s life changed, and I suppose my younger brother’s did too. Diabetes affects not only the person diagnosed, but those who love them as well. But honestly, it’s been so long (32 years and 11 months) that I really don’t think about those changes anymore. This is the life I have, and personally I do much better if I don’t compare life before to life after. However, there are some changes that I love to think about, because they give me hope and keep me going when things get tough. They are the changes in how diabetes is managed today, as opposed to how it was managed when I was diagnosed. Back then, I tested my sugar by putting a few drops of urine in a test tube and adding a Clinitest tablet that fizzed and burned. I then compared the concoction to a color chart and this gave me a fairly broad idea what my sugar was . . . . . or rather, had been several hours before the urine test. At meal time instead of counting carbs, I counted exchanges on my very strict eating plan. I could only eat certain things at certain times of the day - and the fact that I was hungry or not hungry didn’t count for anything. There were no insulin pumps or even insulin pens as part of my regime - instead my mother drew up two types of insulin from vials into one syringe for my daily injection. When I think back to the “old days” with diabetes, I’m so thankful for the changes I’ve experienced. 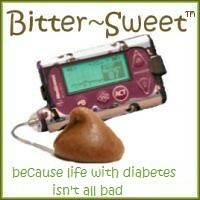 I’m lucky to have my blood glucose meter and my insulin pump and my continuous glucose monitor. I’m grateful to be able to count carbs and bolus for what I want to eat whenever I want to eat it (mostly . . . although at times high or low blood sugars still can dictate a food choice now and then). I feel very fortunate to live in a time when diabetes advancements are helping to keep me healthy and free of complications that were unavoidable for those in generations before me. Living with diabetes still isn’t easy, but new treatments and technologies have made it a little easier than it was when I was 11. These are the changes that fill me with joy. Awesome perspective. I can only imagine the things Bean will have access to when she's a grown up....or a cure, I'll take that, too!! Posts like this remind all of to be grateful for the improvements in d-care. I'm not sure that my 11 year old self would have been such a great cwd. Yep, perspective makes a world of difference, doesn't it. Thank you, Karen!